Get your tickets for our spring fundraiser today! 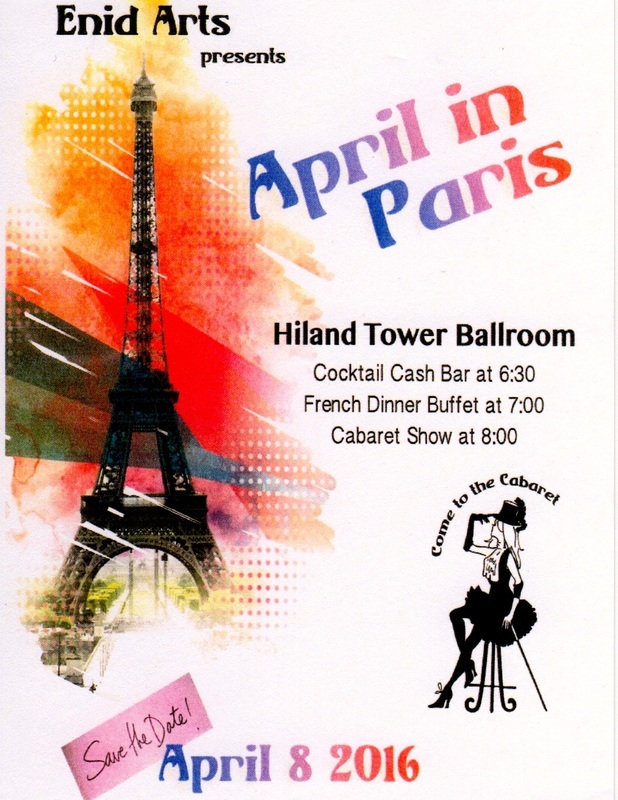 Enid Arts Council hosted its annual spring fundraiser on April 8, 2016 at Independence (formerly Hiland) Tower Ballroom. You will be transported to the city of light, romance, and art with an elegant atmosphere, decadent French cuisine, and live entertainment. Join us to enjoy French classical music featuring pianist Andrew Long, as well as a cabaret show featuring Brenda Frye and friends. You won't want to miss this exciting night!